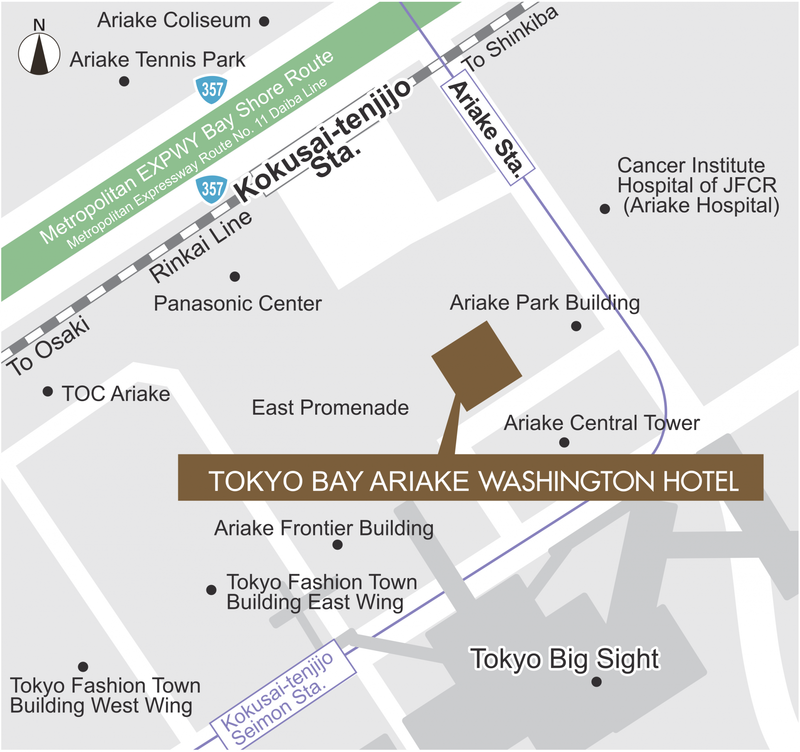 We are located just in front of Kokusai-tenjijo Station on the Rinkai Line and conveniently close to the Odaiba area. 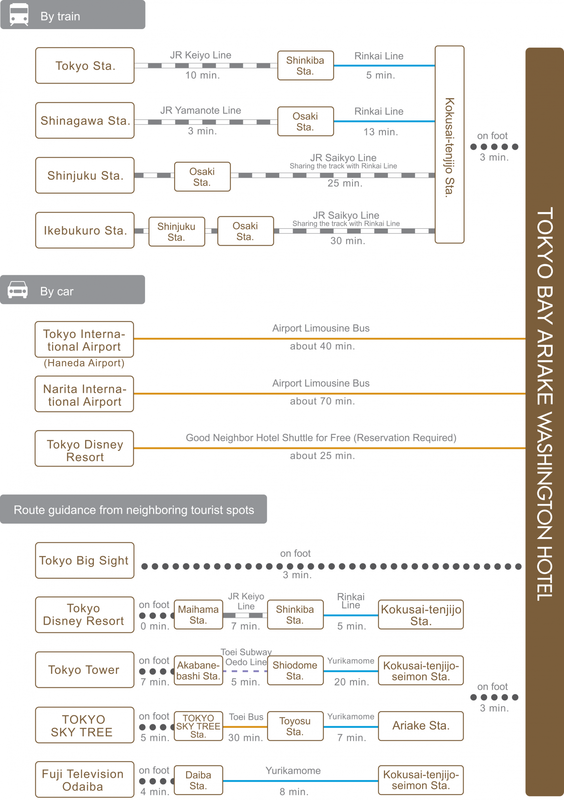 We also offer free shuttle bus service to Tokyo Disney Resort every day (reservation required). Gundam Front Tokyo and Diver City Tokyo Plaza are 10 minutes away by train plus walking distance. *Seat reservation is required for buses departing the hotel. Take the Tokyo Monorail from Haneda Airport Terminal 1 Station. Change at Tennozu Isle Station to the Rinkai Line, and take that to Kokusai-tenjijo-seimon Station. Approx. 33 minutes. One-way adult fare: 690 yen. Take the Tokyo Monorail from From Haneda Airport Terminal 2 Station to Tennozu Isle Station. Change at Tennozu Isle Station to the Rinkai Line, and take that to Kokusai-tenjijo-seimon Station. Approx. 35 minutes. One-way adult fare: 730 yen. Take the JR Keiyo Line to Shinkiba Station. Change there to the Rinkai Line. About 20 minutes. Take JR Yamanote Line to Osaki Station. Change there to the Rinkai Line. About 20 minutes.